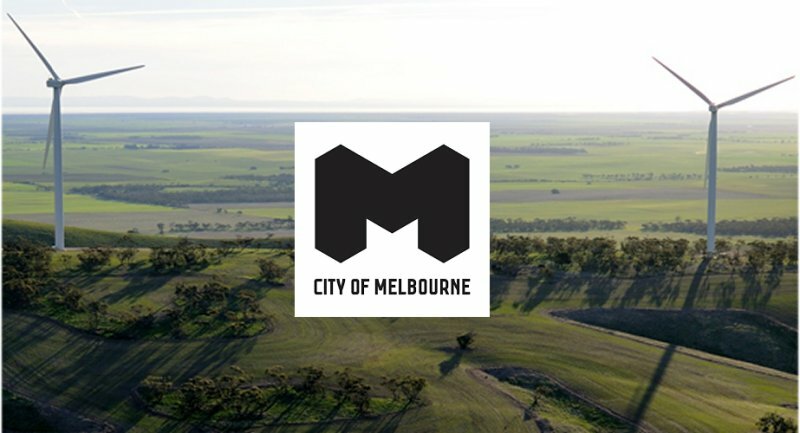 The City Of Melbourne says it is the first Australian capital city council powered by 100 per cent renewable electricity. UPDATE: Just to clarify, and I should have done so when originally publishing – the 100% claim is in relation to electricity supply for council buildings and services. The council is purchasing renewable electricity equivalent to its annual consumption. The City of Melbourne council area is comprised of the city centre and a number of inner-city suburbs, including Carlton, Flemington, Prahran, South Yarra and Southbank. The shift to 100% renewables for electricity supply was made possible by a deal struck by Council and thirteen other organisations that combined their purchasing power to support the construction of Pacific Hydro’s 80 MW Crowlands Wind Farm, which is being built 25km north-east of Ararat in south-west Victoria – approximately 205km west of Melbourne. The Melbourne Renewable Energy Project (MREP), as the collective is known, committed to purchase 88 GWh of electricity per year from the wind energy facility under a long-term power purchase agreement (PPA). 25 of the 39 Senvion MM92 2.05MW turbines at the facility are now up and running. Crowlands is a project with a very long history – initial consultation with the local community began in 2004; well before Australia’s renewable energy revolution started kicking into gear. One of the sweeteners Pacific Hydro is providing as part of the project to the local Crowlands community is the installation of a rooftop solar power and battery storage system for the Crowlands town hall. While the topic of the solar energy, an analysis released last year by the Australian PV Institute (APVI) indicated the CBD area of Melbourne could support 461MW of solar panels on the rooftops of its buildings. This capacity would generate an estimated 548 gigawatt-hours of electricity each year; enough to supply 11% of the entire CBD’s annual electricity consumption. The potential rooftop solar power capacity of other state capital city CBDs can be viewed here. Trivia: In Melbourne CBD’s postcode (3000), there are just 42 small scale (<100kW) solar power systems installed, with a collective capacity of 668kW. Elsewhere within the Council’s borders where there is more stand-alone, semi-detached, townhouse and terrace housing, solar power has a greater presence. For example, in the suburbs of Flemington and Kensington (postcode 3031), 472 systems are installed. 100% – What an absolute load of tripe. How are roads repaired, parking infringements monitored, councillors transported and waste taken from public areas and parks? Did you even read the article @Richard Thompson? I added some clarifications to the article later in the morning after Richard posted his comment. I apologise that it wasn’t clearer when first published. I wonder what the council is now paying all up per kWh. Well, one way for the Council to have green electricity would be to buy LGCs (Large-scale Generation Certificates) and then not surrender them. At the moment they cost around 4.5 cents per kilowatt-hour. Stop with these deceitful headlines! Yes, Victoria uses way too much coal, but no, 97% of their peak demand is not generated by coal fire power stations. A surprising amount of peak demand is met by peak generators. Wow great to see that 100% if electrical needs are supplied by renewable resources. It’s a shame other commenters don’t seem to understand the arrival. Perhaps they read the head line and comment without reading the article. I love this new way of fake marketing ad articles. Buy back does not mean it’s 100% renewable. Ironically it may force the rest of us on to cheaper, less green energy? Solar? Yes. Wind? Yes. Other allternative energy? Yes! Just don’t raise my energy bills by hiding them through other charges. Green is right, green is good, but green ain’t cheap. So make it cheaper……and we all win. Don’t we? So if all Coal Powered Energy sources stopped today, life would continue as normal Day or Night? So what’s Tasmania been doing then? 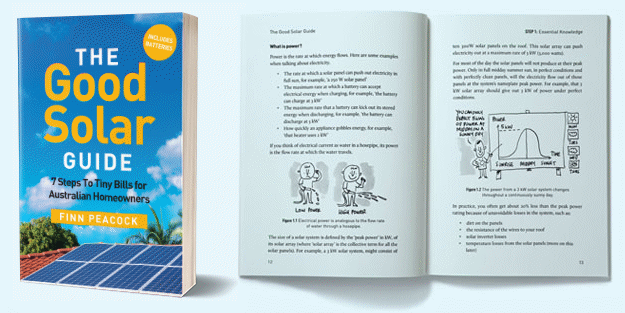 I live 100% off grid in Cape York. This claim by Melbourne council’s smacks of naive ideological wannabe combined with dodgy supply accounting and gullible rate payers.